Actress Alice Drummond died on Wednesday at her home in the Bronx due to complications following a fall that she survived two months ago, according to the New York Times. She was 88. A native of Pawtucket, Rhode Island, Drummond graduated from Pembroke College in 1950, which has since merged with Brown University. 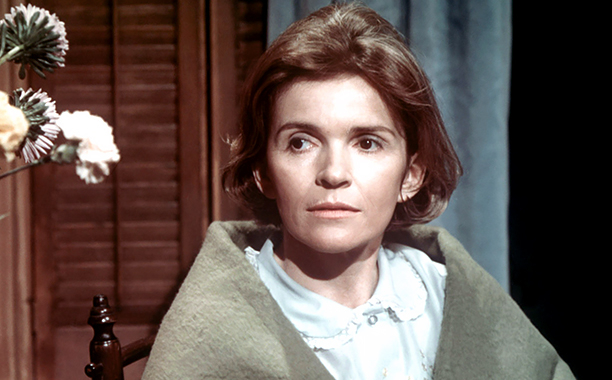 Her first break into television came in 1967 when she landed the role of Nurse Jackson on the ABC soap opera Dark Shadows. Drummond later appeared on other soaps including CBS' As the World Turns and Love is a Many Splendored Thing. Her only starring daytime role came on CBS sudser Where the Heart Is. She played Loretta Jardin, Peter's aunt, who was a high school teacher and recovering alcoholic. The series was canceled in 1973 to make room for The Young and the Restless in the network's lineup. She would go on to enjoy a healthy film and television career spanning more than four decades. Although it is brief, perhaps her most famous role is in Ghostbusters playing the librarian who is terrified when books and pages begin to fly off the shelves. Later in the film she is comically interrogated by Bill Murray’s character. Notably, she also played a patient in the 1990 Oliver Sacks biopic Awakenings and a nun in 2008's Doubt. Drummond is not survived by any immediate family members. You can hear a very brief moment of Drummond's work on Where the Heart Is in the clip below.